Team Sahlen will be making their 1st ever visit to the newly opened National Corvette Museum Motorsports Park in Bowling Green, Kentucky. 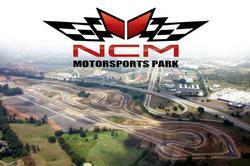 The event will be the Chump Car World Series - Racing Radios Grand Course Enduro. The races will take place on the full 3.15 Mile course. The course is located just across Route 75 from the National Corvette Museum. At this weekend’s Racing Radios Grand Course Enduro, Team Sahlen will be entering and racing their Ketchup and Mustard Mazda RX7s. Drivers will be Joe Sahlen, Joe Nonnamaker, Wayne Nonnamaker and Will Nonnamaker. Saturday’s 8 hour race will start at 9 am and conclude at 5 pm. Then Team Sahlen’s crew will get to work that evening re-preparing the Rotary Racers for Sunday’s 7 hour event that will start at 9 am and conclude at 4 pm. Live timing and scoring of the event can be viewed by visiting www.chumpcar.com and clicking on the Live Timing button on the home page of the site. eEuroparts.com, Tarett Engineering, Guard Transmission, Porsche of Beachwood, Pittsburgh International Race Complex, HubstandsPRO, Brothers Grimm Landscaping, NGK Spark Plugs, CM Racing Products, Mothers Polishes, Grassroots Motorsports Magazine, Design Engineering Inc., Hard Brakes, Forgeline Wheels, Alcon Rotors, Lamin-X, Optima Batteries, Mazdaspeed, MSI Racing Products, Winding Road Racing and TheRaceSite.com.